We recommend the TRI-ACTA H.A. formula for horses that are ageing, experiencing arthritis and stiffness, are in training and competition, or under a heavy workload. It is also an ideal solution to maximize effective training days and competitive outcomes. Home / Equine Supplements / TRI-ACTA H.A. I use your TRI-ACTA for my 12-year old horse and am absolutely amazed with the results. I was using the TRI-ACTA and it was OK but recently changed to the TRI-ACTA H.A. WOW! I am jumping him again. There’s no doubt that our two and three-year-olds are having to develop faster to compete, not to mention the speeds they have to accomplish to be competitive. Joint and cartilage supplementation is essential. Unfortunately nature isn’t always on our training schedule. Integricare’s TRI-ACTA helps maintain the strength and integrity of the joints. It’s just common sense for developing horses during such a long and strenuous season. 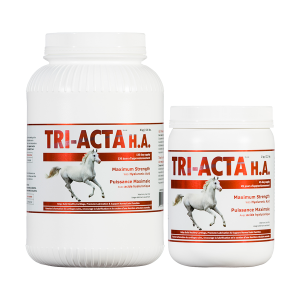 I use TRI-ACTA supplement in my stable, a practical solution to enhance cartilage and weight-bearing joints. I have used TRI-ACTA and other Integricare joint products for almost three years now. I put my two year olds on as soon as we start with them. It is great preventative medicine for all the joint ailments any athlete could possibly develop. Last year we almost lost one of these horses to EPM and believe that with the help of your product, he was able to still have a racing career. We have also noticed with our 2 year old, a superior performance compared to ones in the past. For example: no heat in their legs, good knees and a sound back. I find daily supplementation for all my horses with TRI-ACTA (joint supplement) has proven without a doubt to insure more durable and increased longevity of major stress bearing joints and has been an unquestionable factor in the success of potential champion turf mare Classic Stamp and multiple stakes winner Mulligan The Great. I thought you might be interested in hearing about a horse that I have recently started on Tri-Acta HA. This is an older horse belonging to a client of mine that has finished a successful show career. She is a little bit older now and this spring, as she seemed quite uncomfortable, my veterinarian suggested some joint injections. She received them and became noticeably better. After a few months she once more started to become a little stiff in her joints. As I have had great results with my jumpers on Tri-Acta HA I decided to start her on it. About one month later she became much looser in her stride and just generally more comfortable. I’m thrilled with the results of Tri-Acta HA with this older mare and certainly plan to keep her on it indefinitely. 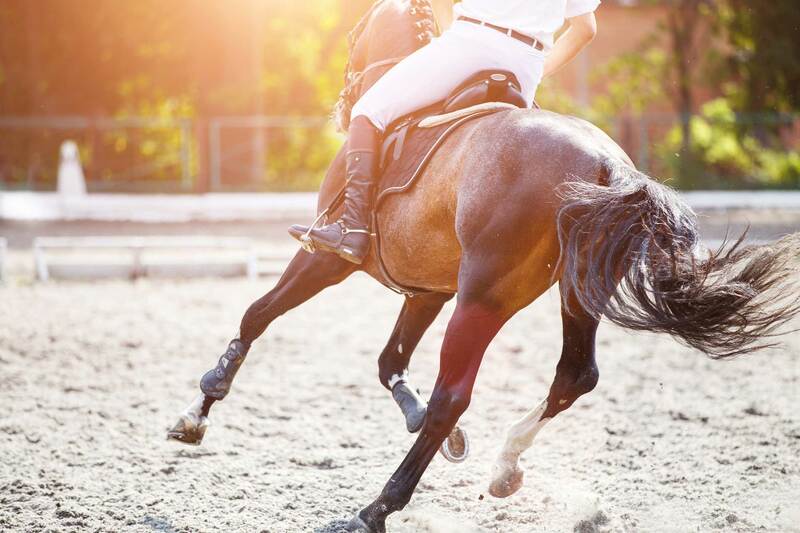 Learn more about the importance of glucosamine as part of your horse's daily diet and other resources such as scientific research. Why Two Types of Glucosamine?